What’s better way to start your day than a strong morning coffee, shower and a fluffy great-smelling towel? 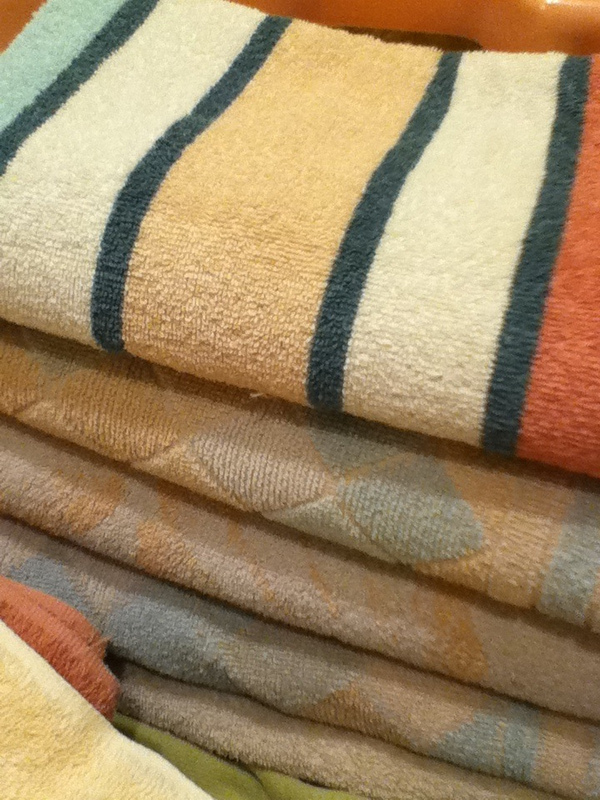 Speaking of great-smelling towels, we all have the sour smelling problem, right? It seems like no matter how often you wash your towels, the sour smell remains. Heat, humidity and dampness are the ingredients that form the sour smell in laundry, while your towels’ bad smell comes from the mold or mildew that is forming on them. Can you remove the sour smell for good? Of course – if you stick to the tips that follow in this article. However, there’s one thing you should keep in mind: mildew is unavoidable because even after laundering, this annoying smell might linger and reappear, especially when the garments are damp. But don’t worry; we’ve combined several useful tips to refresh your clothes and remove the sour smell. First of all, remember one thing: some manufacturers use a special softener on towels in order to make them look soft and fluffy on the shelf. 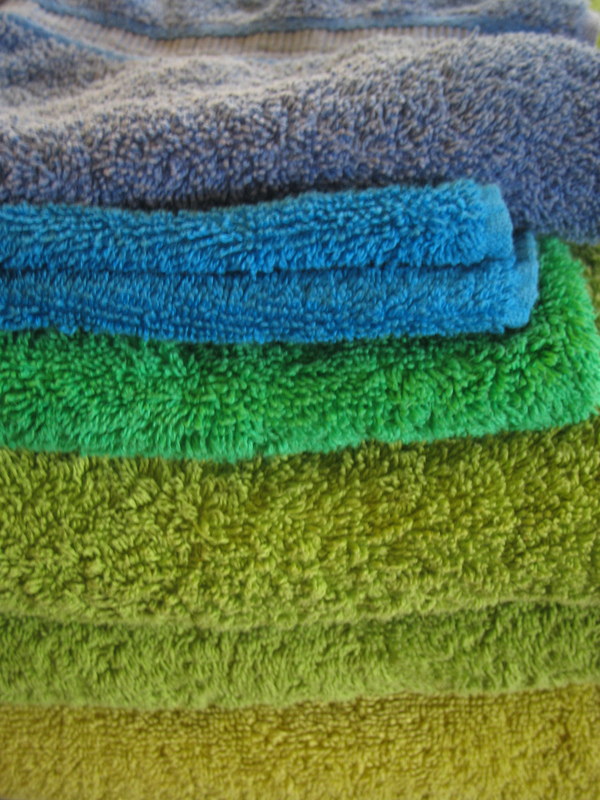 No matter how clean they seem, you must wash every towel in hot or warm water before first use. It is recommended to use your towel four times tops before washing. Don’t forget to hang them up to completely dry between every use. If you tend to overload your washing machine, you’re preventing your towels to get clean and fresh smell. That’s why you should wash fewer towels and use a high level setting of water. Your washing machine is not always the source of your smelling towels problem (even though it can be). There are plenty of factors, including how dirty your clothes were before washing them, the load of clothes in the washer, the detergent dose you’re using, and the type of water (soft or hard). Oh, and just because your washer’s interior is constantly filled with soapy water, that doesn’t mean that you shouldn’t clean it every once in a while. The most popular method is the vinegar one. Add two cups of white vinegar and run the washer. You don’t need detergent or fabric softener; just hot water and vinegar. 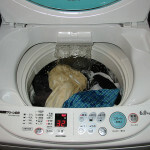 Then wash the same load again, but this time using hot water and baking soda or laundry soap (no fabric softener). Dry the load on a high heat setting and hand them outside. Ammonia is also one of the best methods. You’re washing your towels as you always do with hot water and detergent. Add one cup of ammonia during the rinse cycle, start the washing and hand the towels outside. There are plenty of different detergents: for babies, for allergy-prone skin, etc. What you need for removing the sour smell is a detergent with a bleach/antimicrobial additive. Drying your clothes in the sunshine is the best mildew killer. Don’t use ammonia and bleach together, as this combination forms chlorine gas. If possible, throw your towels from kitchen and bathroom in the washer on a daily basis so that you can prevent mildew and germs from starting out. Yours and your family health is of an utmost importance. The busy households we all live in today make the smell and feel of our towels in the bathroom to become a low priority. Now it’s time to change that!